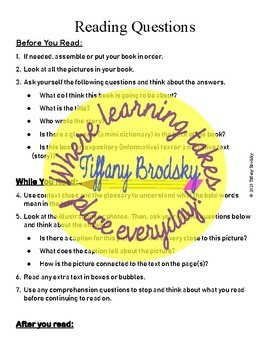 This is a two-sided print out that students use to assist them in thinking about the book or text they are reading. Most of this is oral work. Students just ask themselves questions and respond to them. Great to use in literacy centers with given text. May wish to show students how to use the sheet first. Easy to use independently or with a group!